Following Chelsea’s embarrassing 6-0 loss to Manchester City, Blues coach Maurizio Sarri drew even more attention to himself after snubbing Pep Guardiola’s handshake at the final whistle and he has now explained his actions. Click through the gallery to see some highlights of the game. 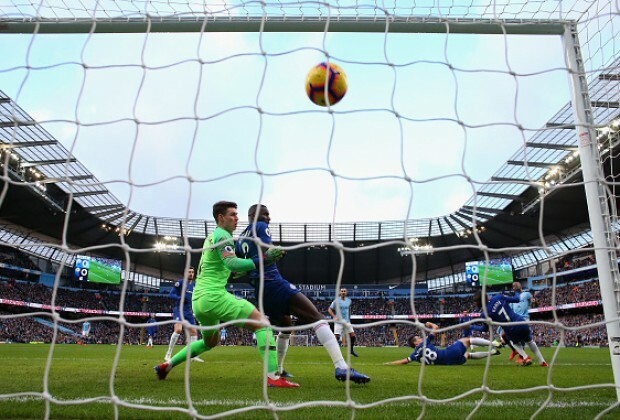 City were leading Chelsea 4-0 after just 25 minutes, with the game ending in a 6-0 defeat – the club’s heaviest in 28 years. Many already questioned Sarri’s tactics in the heavy loss, which was his side's fourth defeat away from home in 2019. However, the Italian tactician wote even more headlines after refusing to shake Guardiola’s hand after the game. “I just didn’t see Pep, as at that moment I just wanted to go into the dressing room,” Sarri told Sky Italia. The former Napoli boss also tried to explain his side’s collapse, which saw them drop to sixth place in the Premier League table. “We’ll need to find the explanation for all this over the next few hours,” Sarri told Sky Sport Italia. “My sensations before kick-off were good, as they were during the week. We conceded a stupid goal in the opening minutes that affected us for the whole game. When asked whether he expects a call from Blues owner Roman Abramovich to discuss his future this week, Sarri insisted he would be happy to chat to the wealthy oligarch. “If the President calls, I’ll be happy, seeing as I never hear from him. To be honest, I don’t know what to expect,” he added. Chelsea play Swedish side Malmo FF in the UEFA Europa League next, before hosting Manchester United in the FA Cup next weekend. City, meanwhile, climbed back to the top of the table, three points ahead of Liverpool with one game in hand. Do you think Chelsea should sack Sarri? Have your say in the comments section below.